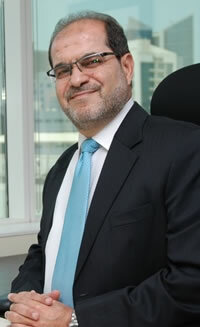 Mr. Al Temeimy is the former Vice President in the Investment Banking Department at Global Investment House in Kuwait. A previous member of the Global Investment House team since 2003, Mr. Al Temeimy brings significant experience in investment analysis and management. He holds a Bachelor’s degree in Economics, with a specialization in Finance, from the International Islamic University of Malaysia and a Master of Business Administration from the Kuwait Maastricht Business School. Daniel Taylor is the CFO at First Bahrain. A member of the core executive team, he contributes to the strategic direction of the firm. He is directly responsible for the financial management of the company, including all administrative and legal affairs. He also leads First Bahrain’s PR and marketing efforts. With a career spanning 27 years, Daniel is an entrepreneur who came to First Bahrain in March 2007 after leading and exiting from two SME’s in Bahrain. He brings a wealth of operational and management experience acquired while serving as General Manager of New York Coffee, a gourmet coffee roaster and cafe, and General Manager of Mariner Technologies, where he was the chief architect of leading GCC business news portal, TradeArabia.com (www.tradearabia.com). Daniel earned a Masters in Business Administration (MBA) with Distinction from the Kellstadt Graduate School of Business at DePaul University, Chicago, USA (kellstadt.depaul.edu). He studied for his BA in History at the University of Virginia, USA (www.virginia.edu). Daniel is member of the Urban Land Institute (www.uli.org). He also serves on the Board of Directors of the American Chamber of Commerce in Bahrain (www.amchambahrain.org). Yasser Abu-Lughod brings over 30 years of international project management and engineering experience to the team at First Bahrain where he serves as the Chief Development Officer, leading the Company’s development efforts from concept to construction to commissioning and beyond. 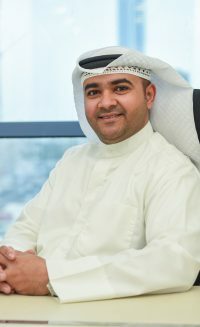 Prior to joining First Bahrain, Yasser worked as senior project manager for Mace International where he managed the infrastructure design and construction phases for Bahrain Bay Development project. He also held several senior posts at VicRoads in Victoria, Australia and GHD Global where he played a key role in the success of infrastructure projects in Al Khore Qatar. Yasser holds a B.Sc. in Civil Engineering from University of Wisconsin, Milwaukee; USA (www.uwm.edu). He is a Chartered Professional Engineer and a member of the Institution of Engineers in Australia, a holder of the Project Management Professional certification (PMP) and a member of the Project Management Institute (PMI).